Note: the post below is my entry for Parul’s contest for her new book. Congrats, Parul! Hope you enjoy the post! PCM: So, Gargi, what have you done? Me (astutely divining he meant my degree and not what I had done in life): I have done my engineering in Computer Science. PCM: I see. So, is that a BCA? Me: No, sir. It is a computer engineering degree. PCM (still fogged, apparently): So, that’s what – an MCA? Me (temples throbbing feverishly): No, sir, it is a Bachelor’s degree in computer engineering i.e. B.E.Computers. PCM (enlightenment, finally! ): Ah, you’re a B.E. Ok, ok, that’s good! (After pausing to think a bit) So, Gargi, how would you rate yourself on a scale of one to ten? Me (incurably truthful): Sir, maybe about four or five. I have learnt a lot in college but I have yet to apply it to work in the IT industry. PCM (impressed): That’s very honest! I appreciate that. I trust the sample given above suitably illustrates the tone of our fascinating conversation. My interview lasted for little more than an hour, during which time I said “I don’t know” to every alternate question put to me. Needless to say, I bagged the job with ease. So, as instructed, on the next morning I reported for my first day in office. Within a fortnight, I had settled into my new post. From my colleagues I discovered that although he was amiable and competent, Mr. P.C.Menon nevertheless seemed always quite disoriented. Naturally, his subordinates had cleverly renamed him “Perpetually Confused Menon” in keeping with his air of eternal bewilderment. That the nickname was more than justified was proven to me a second time very soon. And for the next twenty minutes he struggled to remember what he was going to say. I watched him patiently, as he hemmed and hawed and massaged his forehead with two fingers in an attempt to aid recollection. When he finally decided that his memory cells had failed him, he let me go, saying I should check it up in the book. Within the next week, I found that PCM had earned himself a second nickname. I had frequently heard him boast of his achievements – “I have an industry experience of 40 years”, “When I worked at …”, and here he freely dropped the names of famous companies that (he claimed) he had the privilege to be associated with. His incessant egoistic conversations prompted his peers to label him the ‘I-specialist’. Not precisely my choice of words, but I let him continue. I didn’t argue with that! In 2002, Indian Television took the extreme decision of ripping off foreign shows and adapting them to the local palate, and thus, a beautiful show called Kaun Banega Crorepati was born. It was anchored by the one and only…the inimitable… the Superstar of the Millennium – Mr. Amitabh Bachhan. That was the smart thing about KBC – making it to the ‘hot seat’ itself was deemed to be worth it, just because you could exchange a handshake and a wink with the man himself. If you scooped up millions in the process, that would really take the icing and the cake along with it. Before you get mad at any of the winners for lugging home obscene amounts of money, do consider the many unforeseen hurdles they have to battle before they bag the top prize. To begin with, participants have to be competent at interpreting Mr. B’s signals and picking up the clues he drops so casually. If they are unable to do so, it may lead to some rather unpleasant conflicts. AB: Your next question is: In which country is the Pashupatinath temple located? A – India, B – Nepal, C – Bhutan, or D – Sri Lanka? PP (after respectable pause): I think it is A – India. AB: Madam, at this juncture I usually drop subtle hints to the participant whether she is right or not by mentioning her lifelines, if, of course, she has any. But in your case, I will not be mentioning any lifelines, as you do not require them (quick wink). PP (correctly interpreting wink): Oh good! In that case I am sure that it is A – India. PP (bit peeved): Yes, yes. AB: Lock kar diya jaye? PP (now banging head on computer mahashay): Yes, yes, yes! AB: Computer ji, A – India ko lock kar dijiye. Please lock A – India. AB (delightedly): Yeh bilkul galat jawab! This is the wrong answer! AB: Madam, please remember, it’s not what I said before, but what I say now that matters. Our Perspiring Participant is not a conniving individual, or else she would surely have resorted to some underhanded tactics as demonstrated by the now-famous Major Ingram, who endeavoured to relieve the show’s producers of their considerable wealth by staging an elaborate mechanism to arrive at the right answer. The Major was foolish – instead of going to all that trouble, he should instead have adopted the Indian method and slipped some cold hard cash into host Chris Tarrant’s outstretched hands. It might have been far more effective than trying to cheat when you aren’t acquainted with the finer nuances of such a refined art. The wealthiest winner of the KBC-style quiz show is, of course, the fictional protagonist of Vikas Swarup’s bestseller Slumdog Millionaire. Oops, sorry, I meant Q & A. Simply by virtue of an exotic lifestyle and that elusive ingredient called luck, Mr. Ram Mohammad Thomas answers all the questions correctly and takes home a staggering prize of ten crore rupees. But life is not so kind to him. After winning this enormous wealth, Ram Mohammad Thomas purchases a private jet and offers to take the Big B with him on an adventure. The Big B acquiesces, and halfway through their journey the jet loses its way. Ram Mohammad Thomas finds himself marooned on an island not with one of the many women of his dreams, but with the best actor the world has ever known. AB: Ram Mohammad Thomas, the next question is – what is your middle name? Is it A – Middle, B – Mubashir, C – Maybe, or D – Mohammad? RMT: I refuse to answer the question. AB (drawing his gun): That is not an option! Ram Mohammad Thomas (hurriedly): In that case, I will use a lifeline. AB: Ah! Much better! But which? AB: You have no friends. AB: Mr. Thomas, you can see that human habitation hasn’t sprouted anywhere near us. AB: Hehe, I know some of those! AB: Oh, sorry, I mean, no! AB: Because I’ve decided the only option I can give you is a double dip. RMT: Great! So shall I tell you my first answer? AB: What answer? I meant a double dip in the vast pool that stretches out before us. And so it happened that Ram Mohammad Thomas, eager to please his new favourite idol, stepped into the swirling waters of the Atlantic, and got swept away by the current. The Big B threw back his head and laughed a hearty laugh. Among my ten top ten favourite novels of all time lies an unlikely contender – High Society by Ben Elton. Though his books have raked in the millions worldwide, I don’t see the kind of hoopla about him that I’d like. Keeping this in mind, I have taken on a noble mission – to educate the hitherto uninformed masses about this literary genius. He wrote and produced The Thin Blue Line, a series starring Rowan Atkinson and set in a police station. The remarkable thing about his novels is that most of them tackle environmental and social issues without boring the reader. I couldn’t imagine reading non-fiction tomes based on the same subjects, so I’m quite grateful to his books for educating me about these issues and provoking me to think about the problems and their solutions. All the books feature a sprinkling of British humour, as you would expect. A conglomerate of the world’s wealthiest men come together to solve the problem of our declining environment, and if you think their plan involves going down the green path, you’ve got another think coming! The wonderfully named Plastic Tolstoy is a business magnate who invents a Claustrosphere, a dome-shaped habitat in which all water, food and air is endlessly recycled in a completely closed environment. The Eco-Terrorism movement led by Jurgen Thor stirs awareness in the public of the looming eco-disasters. But how can Plastic Tolstoy transform his device into a huge commercial success? Read the book to find out. The best way to start a book – with an off-planet introduction. A group of aliens on another planet have discovered Earth. There’s one aspect of this planet that puzzles them – what are those rectangular sheets of metal that Earthlings enclose themselves in for long stretches of the day? The protagonist is a paraplegic scientist who invents a wonderful solution to the problem of vehicular traffic by designing a car that runs on hydrogen. Naturally, he becomes the target of various parties interested in getting their hands on this technology, and we’re in for a wild ride. This is the first book I read by this author. Peter Paget, a Labour Party MP, grabs his chance at history and introduces a bill in parliament to legalise all recreational drugs in the UK. The other parties with vested interests are not going to make this easy for him, and the secrets he harbours don’t help him either. Welcome Detective Inspector Ed Newson as he stumbles upon crimes which may or may not be related to a site for hooking up with old pals, called Friends Reunited. Won’t reveal more, read the book to find out. Bruce Delamitiri makes movies filled with violence and states that it doesn’t affect people at all (Quentin Tarantino, anyone?). The Mall Murderers Wayne and Scout think otherwise. They go around killing people the same way as they have seen in Bruce Delamitri’s films. They invade his house to force him into saying things he doesn’t want to say. This book has one of the best epilogues ever! The entire plot of the story is captured in the title, but it’s amazing because it is written in the form of alternating diary entries by both the husband and the wife as they go through the phase of trying to have a baby. I couldn’t believe how closely the wife’s thoughts mirrored my own and I could totally picture my husband talking the way the man wrote. You have read books in which you don’t know the murderer till the final pages, but have you read a book where you remain in the dark about the identity of the victim until more than three-fourths of the book is over? Set in the cut-throat world of reality television, Dead Famous is Elton’s updated version of a locked room mystery – ten housemates and one is killed. Cameras are running 24×7 in the house. How did it happen, who did it, and why? Warning: don’t start reading this book at bedtime or any time when you don’t have 3-4 hours of reading time stretched out ahead for you. Have you read any of his books? If not, please go do so right now! Gotcha! You thought I was going to say Howard Jacobson, didn’t you? Dear Rachna @ Rachna’s Scriptorium bestowed on me the Honest Scrap Award last week. This is a turning point for me and my blog, and we’re both pleased to receive our first award, that too for something we believe in – honesty. My first published piece of writing ever was a short poem about the sun that appeared in a local children’s magazine when I was a sprightly eleven-year-old. I learned to bake stuff in my microwave and now I can prepare a mean lasagne and tasty pizzas. I’ve re-read my favourite books more than a hundred times. I abhor, detest, loathe, and despise sitting at the beauty parlour for more than half-an-hour at a time. I am often shocked at how my friends are shocked that I don’t want to get a facial done every month! Despite excellent marks in English literature all throughout my school, I never thought of becoming a writer until I turned 22. I haven’t played the piano for almost a decade now, but I did pass my ABRSM Grade 3 exam with a high merit (128/150). I have a great memory for numbers and can recite entire lists of them offhand. I cannot, for the life of me, whistle, not even a little bit. I love Guylian chocolates with a passion, and salmon too. When people make grammatical mistakes, especially stuff like ‘revert back’ and ‘lot many’, the urge to clobber them on the skull overcomes me, but then I remember the principles of non-violence and keep calm. I talk so much that my sister once bought a poster dedicated to me, which said ‘You talk and I pretend to listen!’ She is regretting it now – her daughter is a greater chatterbox than I am. Time to spill your secrets, people! Tell me something new about yourself. The other day, the clock ticked down making that awful bleeping sound. I switched off the TV from the main switch, threw the covers over myself and shut my eyes determined to drift off into slumberland. Suddenly the shrill tick-tock started up again. I can never mishear that sound, for it always sends my blood pressure shooting up. I peered out from under my cover and listened closely. It sounded less high-pitched, and more metallic, something like a robot sneezing. But to my astonishment it maintained the tone of the 24 clock. I flung off the covers and got down from the bed. My poor toddler followed suit, as she had been rudely disturbed from her sleep. I called my maid, and all three of us crept towards the apparent source of the noise – the balcony. Rows of carefully selected plants bordered the edges of the verandah. My maid tiptoed across the room and switched on the balcony light. The potted plants glared back at me. I scanned every inch of the landscape, but no living thing or device capable of emitting metallic sounds surfaced on the horizon. Then my maid elbowed me in the ribs. She pointed at the potted palm tree. One of its long spindly leaves was fluttering more than the others. 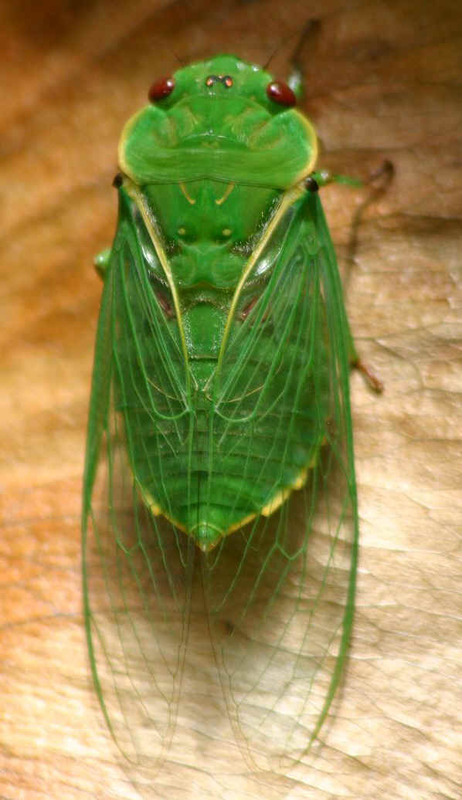 Then I noticed it – a long green insect walking along the slender body of the leaf. Its colour matched the exact hue of the leaves. We edged closer to it. The sound increased in volume. It probably wasn’t too happy at the thought of us invading its turf. We scampered out of the balcony and back into the room. I pulled the gate shut, and closed the sliding doors. After a minute or two, the metallic countdown stopped. My husband came in a few minutes later. I told him the whole story. 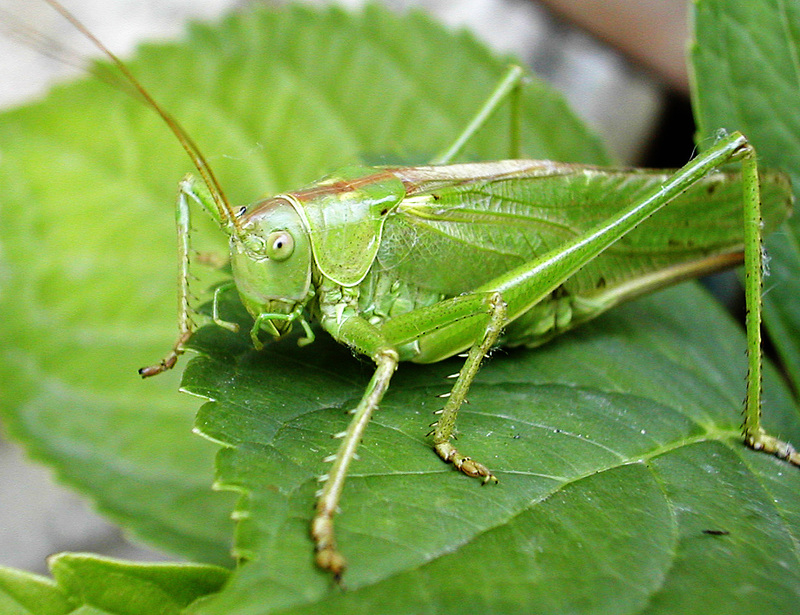 ‘It turned out to be a grasshopper,’ I said in conclusion. ‘It couldn’t have been a grasshopper,’ he said, still in the guise of the aforementioned insect expert. And I’m pretty sure what I saw was a grasshopper. But he hasn’t come around to my point of view yet. In the meantime I have changed my mind and decided that it was probably a cicada (yes, even if they’re apparently not found in India). In my previous post, I mentioned journaling for fifteen minutes every day. Readers commented on that aspect particularly, saying they appreciated it. Being the magnanimous soul that I am, I would like to give credit where it is due, and a lot of the credit goes to a site called OhLife. In the days of yore, i.e. a few months ago, I penned nightly entries into an old-fashioned 2010 diary using an equally o-f pen. 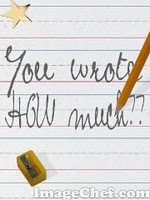 I had to write in my journal only after the baby slept, else she’d scream and demand my pen and diary to scribble in. I have donated most of my old notebooks to her as it is, but a collection of doodles is not something I’m looking to build in my diary. At the fag end of the day, I simply didn’t have the energy required to write my thoughts and daily activities, that too minutes before dozing off to sleep. So when I stumbled across funnyman Narendra Shenoy’s blogpost touting this new site, I was intrigued. I clicked through, read their modus operandi and instantly signed up. You sign up for it, set your timezone correctly. Reply to the email with your entry for the day. Tada! Its done! And it’s all totally private, meant for your eyes only! What if I want to see what I did last year/month/week around this time? What if I simply forget to note down things for one day? How will I write my journal without baby stealing my pen and paper? Every day when I get the reminder I also get a ‘Last week you wrote…’ followed by my entry that day. It’s been great fun to see what I was up to that day one week or month ago. The other major realization that hits me is: I’ve completed almost 10,000 words of journaling since I signed up, which I think is huge! If I applied at least this much effort to my next novel I could churn it out in six months or so. I’d urge everyone who has maintained a journal before to try it at least once. I have been using it religiously since I signed up, and have grown quite fond of it. Do you journal? What’s your favourite tool for journaling? I signed up for Patti Nielson’s blogfest last week. Only later did I realize this was quite a crazy week to attempt this. 30 min – Started a parenting essay. Edited a nonfiction article. 30 min – Completed the parenting essay, total 700 words. Edited nonfiction article some more. 30 min – Started new food writing essay. Sent query for a humor piece to a women’s magazine. 30 min – Completed food writing essay, total 1300 words. 30 min – Sent out nonfiction article. Sent query for a humor piece to another magazine. 30 min – Edited parenting essay. Sent old short story to new market. 30 min – Composed 1200-word essay targeted to a local magazine. I’m now looking forward to everyone else’s entries too. How much writing did you get done this week?